Over the years, Fred has refined a process that helps most clients stop smoking and stay stopped in two sessions without gaining weight. Being overweight affects many areas of your life. It can affect your self image, self esteem, health and feelings of attractiveness. Many overweight people have experienced discrimination against them socially and in their careers. Many have spent thousands of dollars on different weight loss programs only to put the weight back on again. Fred is an expert in designing a weight control program that fits the realities of your personality and your home life. Fred’s approach is thorough, effective and long lasting. Personal problems can have a negative impact on your health and happiness. They can keep you from meeting your standards and goals in your job, romantic relationships and/or as a parent. Many of Fred’s clients have found that problems they have had for months or years have been permanently resolved with Fred’s help in as few as a couple of sessions. Fred R. Talisman M.F.T. and the Talisman Institute? Fred has been helping people with problems for over 28 years. Fred has done his homework. He has a masters degree in counseling and guidance, educational psychology and education. He is a California State Licensed Marriage, Family and Child Counselor. After he got his license, he spent another 6 years in training to work with the unconscious with Hypnosis and NLP. He never stops learning so that he can be more effective in helping you. You receive the full benefit of his commitment to personal growth and professional excellence. Many spend months or years in counseling with little to show for their efforts. Fred works in a direct practical, logical way. In the first session he looks for the structure of the pattern of problems you are having. By the end of that session, he can usually give you a clear idea of what help you are going to need from him to get lasting results for your problems. He goes for the most simple and direct way to give you results and only gets more complex if necessary. Fred’s approach starts with the here and now rather than assuming that all of your problems are related to your childhood. He first gives you skills and strategies to help you get results in the here and now. He only explores your past if it is obvious to both of you that the here and now approach is not enough. Many psychological problems are locked in at the unconscious level. 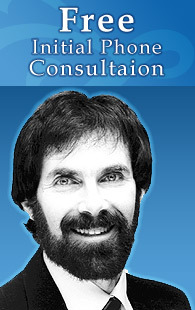 Fred uses the latest approaches for helping you at that level including Clinical Hypnosis and NLP. At your request, Fred will tape record the sessions for you at no extra charge. Whenever Fred helps you to resolve a problem, he also teaches you the skills to maintain that change. Fred tailors his practice for busy people. He has evening appointments available so people don’t have to take time from work or school to see him. He teaches his clients skills and strategies in a way that they can incorporate them into their daily life without having to take time out to practice them.